After the worst December since the Great Depression, the S&P 500 had its best January since 1987. Don’t let the year 1987 scare you. While I’m bearish on stocks, we aren’t doomed to repeat the crash of October 1987. The S&P 500 was up 0.86% on Thursday which pushed the market to a new high. It closed up 7.87% for the month. This rally on Thursday and the 6.17% decline in the VIX helped push the CNN fear and greed index up 2 points to 60. That's in the greed category. I don’t know how anyone wouldn’t consider the market overbought even though it’s still below the record high in September. Facebook helped the Nasdaq increase 1.37%. The Russell 2000 was up 0.84%. The financials and the materials were the worst sectors as they fell 0.27% and 1.54%. Facebook helped the communication services sector rise 3.74%. Oddly, the utilities sector rose 2.08%. 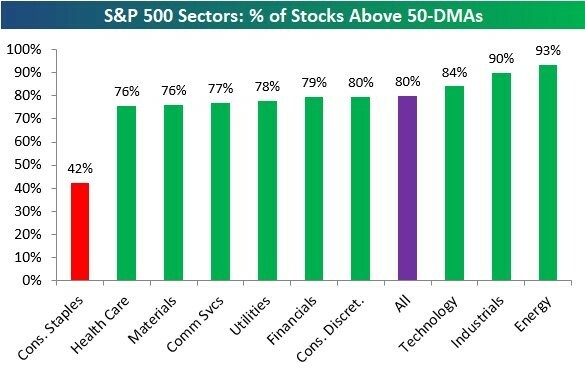 The chart below shows the percentage of stocks in each sector that are above their 50 day moving average. As you can see, all sectors except consumer staples have most stocks above their 50 day moving average. This market’s momentum is absurd. Facebook reported great earnings results as the firm beat estimates on the top and bottom line. This sent its stock up 10.82% on Thursday. EPS was $2.38 which was better than the $2.19 expected by analysts. Furthermore, revenues were $16.91 billion which beat estimates for $16.39 billion. Both daily active users and monthly active users on the main platform met estimates, coming in at 1.52 billion and 2.32 billion. 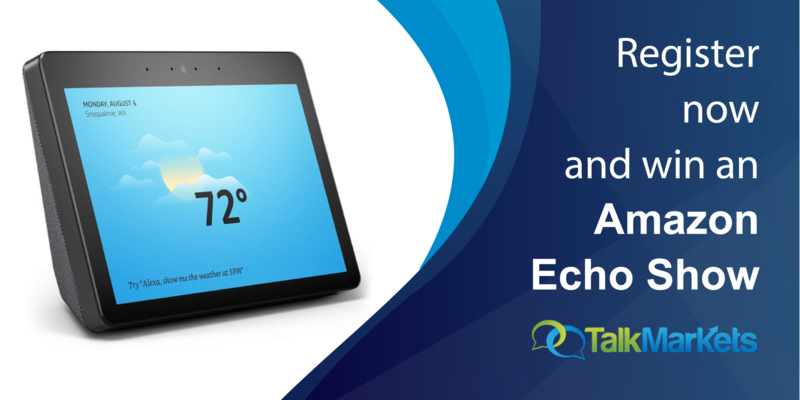 Average revenue per user beat estimates for $7.11, coming in at $7.37. The only negative part of the quarter was the prediction of revenue growth deceleration in Q1. Facebook is one of the most hated companies in America. That’s why I recommended it after its last earnings report. Facebook is so hated and not trusted by followers of the stock that many people outright claimed Facebook falsified the user data because they think people left the social network over privacy concerns.